11 APR CHEDDAR GORGE - 'TOP' BEAUTIFUL VIEW IN THE COUNTRY. 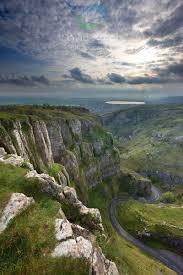 We thought we should point out one of today's BBC list of the top ten most beautiful views in the Country - CHEDDAR GORGE! Obviously.